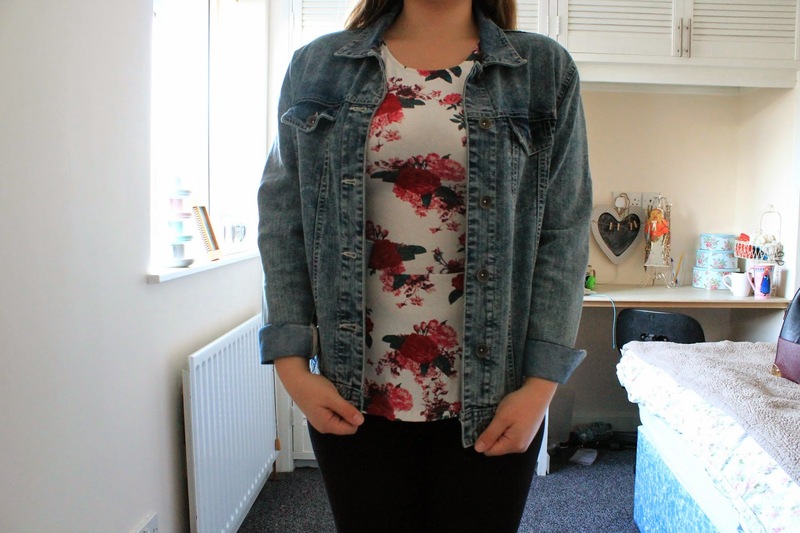 Floral peplum top - New Look // Black leggings - Select // Floral loafers - River Island // Denim jacket - New Look // Berry structured backpack - New Look. I think I have a little bit of a bag addiction. 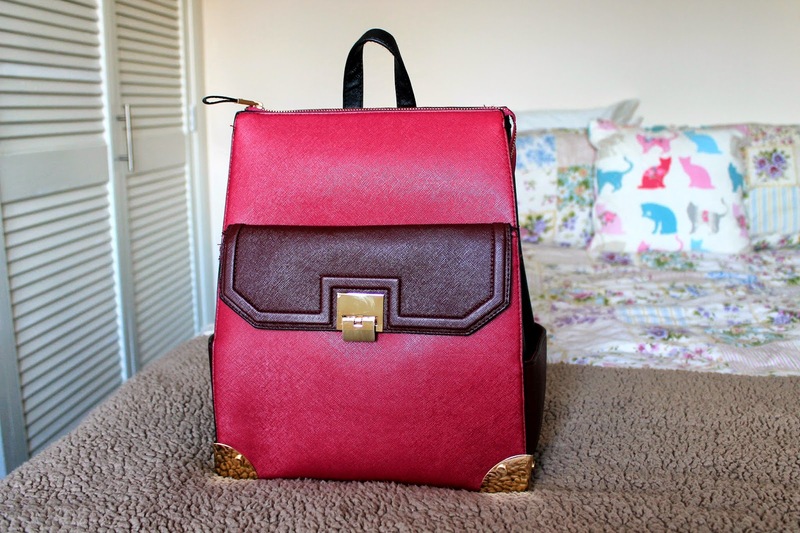 I've been lusting after a structured backpack for weeks, then New Look had a fabulous 20% student discount offer, I couldn't resist! New Look has been so on point for this season in all departments - I genuinely want to buy the entire store right now. Now I know most people probably associate backpacks with their uber cool Power Puff Girl's edition they had when they were little. However it's come back with a chic and sophisticated twist. I adore the structured styling - it really gives off a very put together business like vibe. Not to mention the dual strap is great to give you a rest from consistently having to swap from one side to the other. It's the perfect size for fitting A4 files in and can hold a considerable amount of weight. The side pocket detailing is really adorable & extremely handy for keeping that pack of chewing gum to hand! The gorgeous berry colour is a classic favourite for this time of year and easily fits into my A/W wardrobe. The pocket at the front is surprisingly spacious and great to keep your go to essentials in. The material of the bag feels really good quality and it doesn't lose it's shape when you take everything out - something that I find tends to happen a lot with other bags I own. 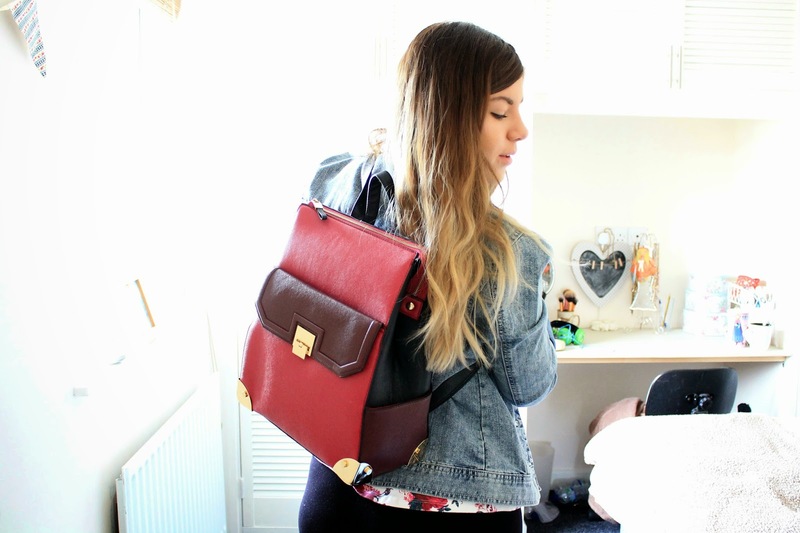 I carried on the berry theme in the outfit by matching the backpack with a couple of floral numbers - ofcourse! I really love this peplum top, that I got last year from New Look - Generally it seems to be exceedingly difficult to find tops to excentuate my small waist, but this totally fits the bill! Although due to the elasticity of the top it does tend to ride up a bit which can get a little frustrating. 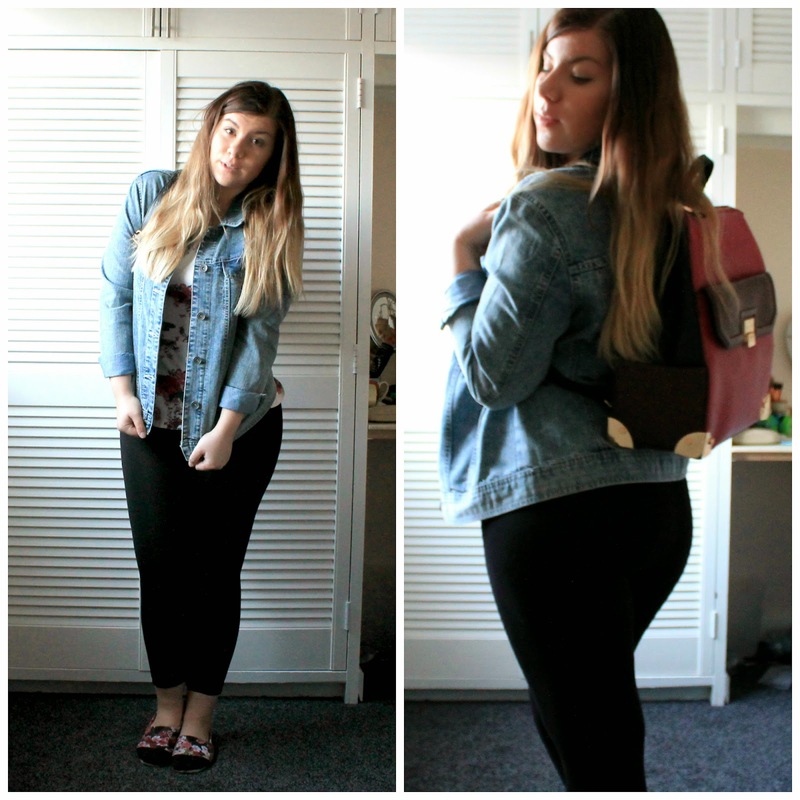 To round off the look I chucked on my denim jacket - I feel that the slouchy over sized fit of it contrasts nicely with the structured backpack and really makes it ideal for everyday wear. Will you be purchasing yourself a structured backpack? Let me know!